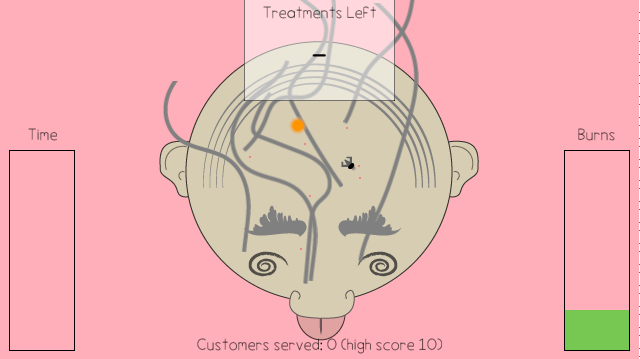 Laser Hair Surgery was made in 72 hours for Heartjam. All content created by RefresherTowel. Hair Parties have become the next big thing, but what are the bald people supposed to do?! Go to the local Laser Hair Surgery clinic and lay themselves under your delicate hand as you rush to cope with the demand while making sure you're neat and tidy. 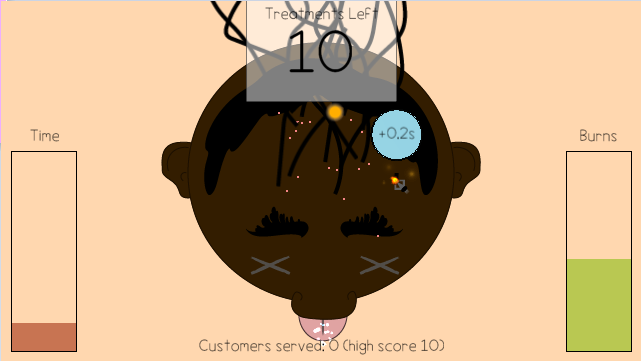 Click on the glowing hair follicles to treat them. Beat the clock to keep going, but don't burn too much area with your laser, you'll lose if your burns bar fills up. Try to beat your high score.